- Pago de $1,000 usd de anticipo. - Visa vigente, en los casos que se requiera. - Formato de revalidación firmado. - Proporcionar datos personales de la persona a contactar en caso de emergencia. - En caso de no contar con el seguro médico del ITAM, se deberá contar con seguro médico internacional personal, y entregar al ITAM copia de la póliza. - Certificado de inglés requerido (para LSE, SMU, SciencesPo y TAU). Para su inscripción, deberán acudir a la Oficina de Vinculación Internacional (situada a un costado del Servicio Médico en el campus Río Hondo), con Julieta Luna: julieta.luna@itam.mx en un horario de 10:00 -14:00 horas. In the last years, the European Union has faced a growing number of major challenges: the economic and financial crisis, conflicts at the borders, uncontrolled immigration, the progression of nationalist parties, euro-skepticism, etc. Notwithstanding these issues, the EU still represents the driving force of peace and stability in the continent and constitutes a model of economic, political and social integration, producing some of the most innovative policies in the world. This course aims to introduce students to the multiple realities of Europe, providing tools to understand how the EU can face the major difficulties of a world in constant evolution. The course will be divided in two main parts: first, students will study the institutional setting of the EU to understand how decisions are adopted and implemented; next, they will examine the construction and exercise of some of the major European policies: economic, environmental protection, climate change, trade, etc. By examining major European issues through a political, economic, historic and legal perspective, students will reflect on the changes in the institutional balance that have occurred in these years and develop a comprehensive understanding of the construction and pursuit of EU policies. The interdisciplinarity of this course will be supported by a wide range of Sciences Po faculty members. 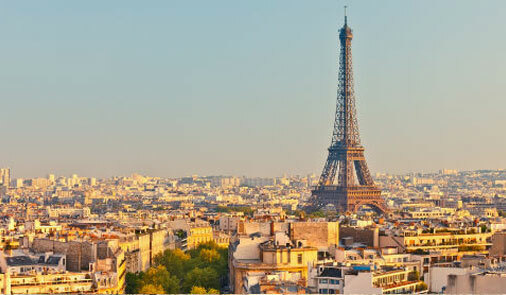 In addition, the course will take advantage of the strategic location of both Paris and France – one of the founding members and strategic actors of the European Union. The problems facing global citizens are multi-dimensional. In today’s interconnected world, the concept of security extends well beyond the traditional analysis of the military actions and diplomatic policies of nation-states. The multiple crises of recent years have sharpened our focus on global inter-dependence and mutual vulnerability among people and nations. Cycles of financial crisis, pandemics, natural calamities, enduring and escalating wars, and rising food prices have not only brought havoc to the security and economy of nation-states and regional systems, but have resulted in disastrous consequences for the survival, well-being and dignity of individuals across national boundaries, often in a domino effect. In this course, students will analyze international relations through the lens of human security, a topic at the intersection of the fields of security, economic development and human rights. The course will present a holistic worldview in which it is impossible to separate the effects of food security from environmental security, economic security from human dignity, and political security from violence and personal security. Over the course of four weeks, students will examine each of these topics in depth and assess how progress made in one of these areas simultaneously affects others— both positively and negatively. Students will not only develop a comprehensive understanding of the many issues that comprise human security, but also the tools to imagine innovative strategies to combat the problems faced by systems and individuals.